Our featheredge gate is ideal for finishing off your garden. It is constructed with a heavy duty ledged and brace frame. 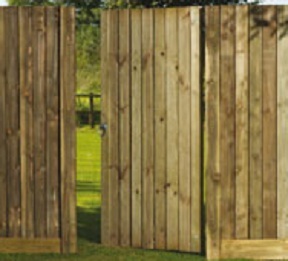 The gate measures 1830mm x 915mm (6ft x 3ft) and comes pre-treated. Other gates are such as the Lincoln Gate, Lincoln Bow Gate, Waney Lapped Gate and Kingston Lapped Gate are available. Please contact our sales team for further information on 01472 350151 or 01652 658082.